"Saw this man in action last night. A lyrical alchemist, his songs weave happiness and sadness together into something new and very vital. I haven’t recognised anyone as a voice for ‘my generation ‘ since Pulp in the 90s. Beautiful setting at Postlip Hall too: if you ever see a gig advertised here, go to it. If you are ever looking for a magical place to perform anything, this is surely it..." Jennifer Beeston, fine artist and audience member. 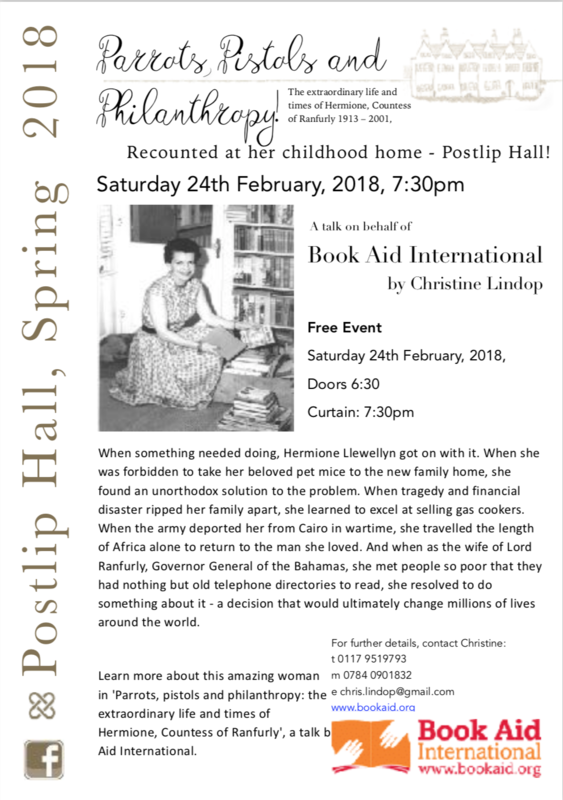 "What a great night in a special venue- thanks to Edd Donovan & the Wandering Moles, & all at Postlip Hall... feeling very rewarded for the wait. 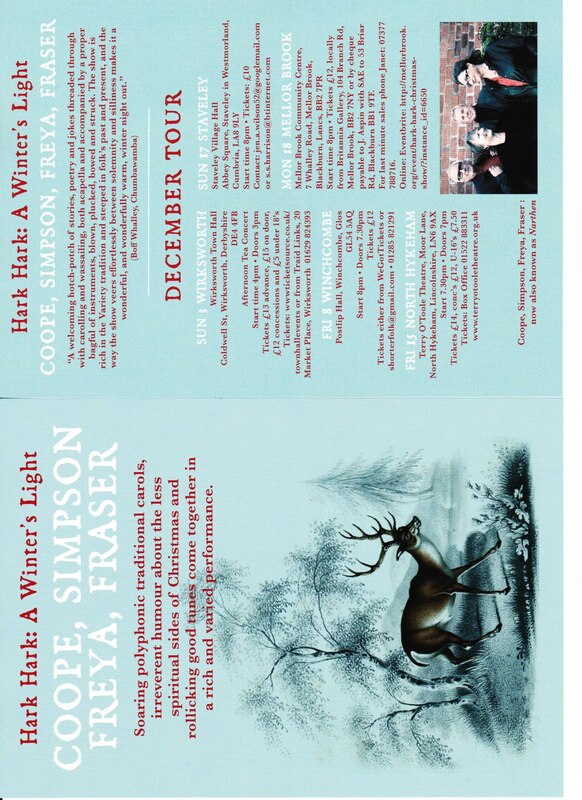 Tremendous indeed 璉"
A festive treat for you all in the shape of "Hark Hark: A Winter's Light" from the inimitable Coope, Simson, Freya, Fraser. 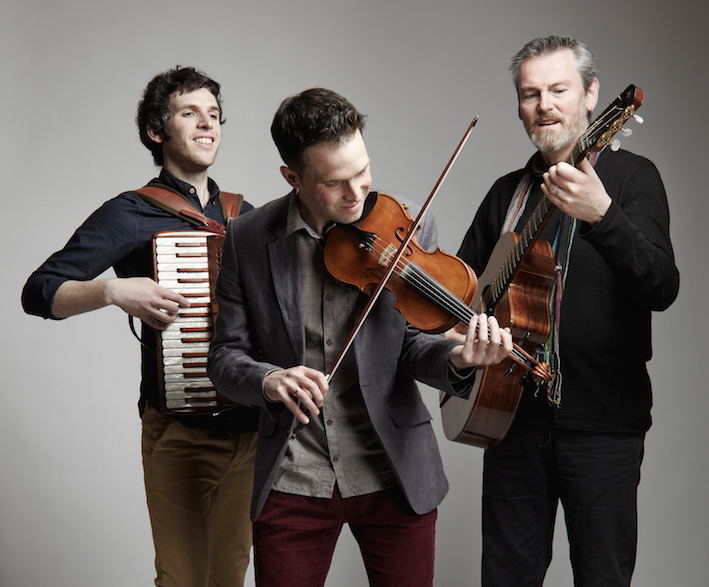 Soaring polyphonic traditional carols, irreverent humour about the less spirited sides of Christmas and rolliing good tunes come together in a rich and varied performance.